New Delhi, Feb 8: Indian railway is busy with creating the world’s highest railway line. National transporter formulates to build a strategically important Bilaspur-Manali-Leh line along the Indo-China border. This line will connect New Delhi with the Ladakh region. For this project, the location survey of the first phase is complete. This line will not only give quick access to the armed forces, but also this line will boost tourism in the picturesque Ladakh region which is now only connected with road and air. The Ladakh-Himachal region receives heavy snowfall and road and air connectivity are sometimes affected due to bad weather. This project estimated cost to build this 465 km-line will be 83,360 crores. 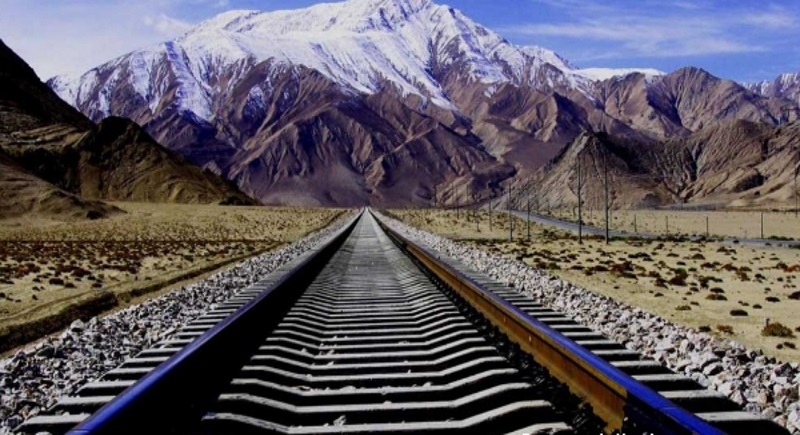 The rail line will have the highest road point of 5,360 meters above sea level, which means this is comparable only to the Qinghai-Tibet Railway line in China, which is at the height of around 2,000 meters. This project includes 74 tunnels, 124 major bridges and 396 minor bridges as per the survey. There would be 30 stations on this route. Keylong station on the route will be being built inside a tunnel at a height of 3,000 meters, this is first in India. More than half of the train route would be covered through tunnels, the longest of which would be 27 km long. The total length of the tunnels would be 244 km. The route will connect important locations between Bilaspur and Leh like Sundernagar, Mandi, Manali, Keylong, Koksar, Darcha, Upshi and Karu and other important towns of Himachal Pradesh and Jammu and Kashmir. This line will need only 20 hours to cover the distance from Delhi to Leh, which now needs 40 hours. The final location survey is expected to be completed in near future and which will finalize the detailed project.